Be sure about Vitamin B12: Why do we need it, and where do we get it on a vegan diet? The UK recommended intake is 1.5µg (micrograms) of B12 per day. In the US it is slightly higher at 2.4µg. In 2015, the European Food Safety Authority set a new ‘adequate intake’ of 4µg per day. Viva!Health recommends an intake of 5µg per day from fortified foods, with the regular use of supplements to ensure topping this up. B12 in meat is bound to animal protein which makes it harder to absorb. Our ability to absorb it declines with age due to loss of intrinsic factor and a drop in acid production in the stomach. 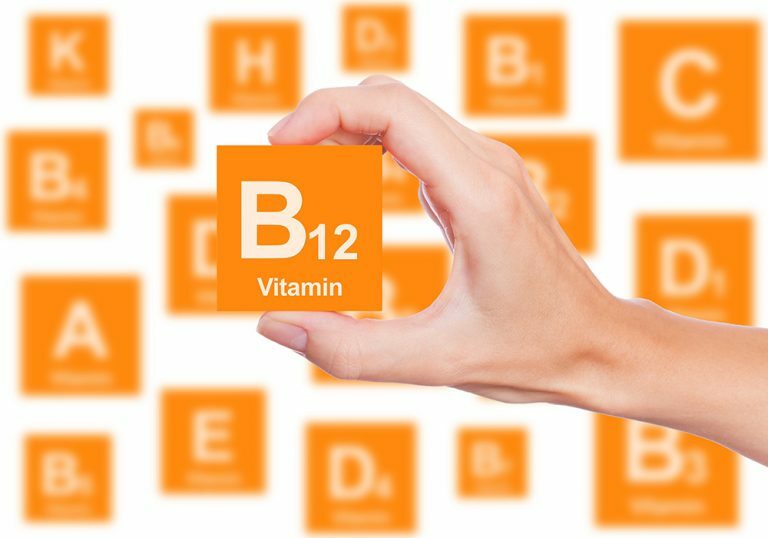 Mild to moderate B12 deficiency is common in industrialised countries despite the fact that a typical western, meaty diet provides around 5-7µg of B12 a day. Up to 40 per cent of older people in the UK suffer from low B12 because of impaired absorption and, as most meat is consumed after cooking, there are further losses of B12. In the US, all adults over 50 are advised to get B12 from supplements or fortified foods because of the high incidence of reduced absorption from animal foods in this age group. Vegans have a heads-up as they routinely include both in their diet. Cyanocobalamin is a cheap and stable ‘inactive’ form of B12. It is used to fortify baby milk powder, breakfast cereals, vitamin drinks, soya milk and vegan meat replacements, as well as animal and fish feed. When taken orally, cyanocobalamin combines with intrinsic factor and is absorbed into the body. 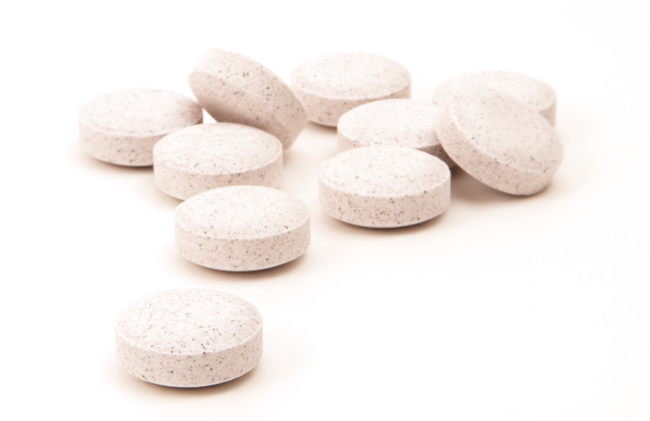 Tablets typically contain doses from as low as 2.5µg up to 1000µg. B12 is made by bacteria in soil and water. Traditionally, farmed animals got their B12 from eating food from the ground, which was how B12 ends up in meat and dairy products. Modern factory farming methods have changed the nature of farmed animal food and cattle and sheep now need B12 supplements too! You can achieve your 5µg of B12 a day by having either cereal with soya milk, or yeast extract and toast for breakfast, soup with Vecon stock and a roll for lunch; for dinner, sprinkle a few yeast flakes on whatever you are having – pasta bake or spaghetti bolognaise – and a soya yoghurt or dessert for pudding. You need to ensure these foods are the fortified varieties! Topping up one-two times a week with a supplement is a good safety net to ensure you’re getting enough. Plant foods, fermented soya foods and seaweeds do not provide a reliable source of B12. B12 intake among vegans is increasing and many are routinely consuming B12-fortified foods and supplements. They are therefore less likely to experience deficiencies due to age. So, a well-planned and varied vegan diet, including B12-fortified foods and supplements, not only meets our requirements, but provides a healthier and safer source, setting us up for a healthy old age. *Many cereals fortified with B12 also contain vitamin D (D3) from lanolin, a substance obtained from sheep’s wool. At the time of writing, Tesco Malt Wheats, Sainsbury’s Wholegrain Malties, Waitrose Malted Wheats and Weetabix Oatibix Flakes all contain 2.1µg of B12 per 100g and no vitamin D, so are suitable for vegans.